This series of books will provide an add-on series of photocopiable books that link with the Themes for Early Years series. The ideas will provide a collection of ready-made photocopiable activity ideas that link in with popular themes and cover all areas of the Desirable Outcomes. The activities will be supported by teachers' notes. 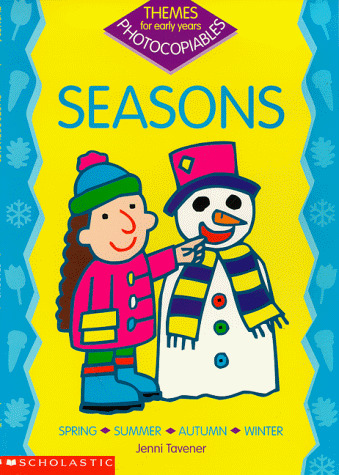 This book will include chapters on Spring, Summer, Autumn and Winter. Practical ideas include writing seasonal poetry, playing number games and constructing a scarecrow puppet. The ideas aim to extend children's skills in all areas of the curriculum and are based on the Early Learning Goals.